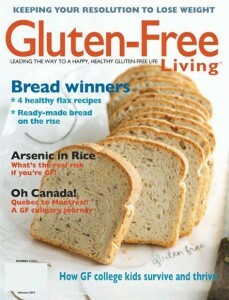 Gluten-Free Living Magazine is a bi-monthly publication focused on those living or considering the gluten-free diet. With six issues each calendar year, this magazine offers up a wealth of useful, relevant information and resources for those leading a gluten-free lives. Each issue covers topics like ingredients, labeling, nutrition, medical research, recipes and more. Gluten-Free Living investigates relevant and timely issues to help readers with their gluten-free lifestyle.